The best soil for cannabis is very much up for debate. With so many different mediums is soil even the best way to grow? Keep reading if you want to know how soil stacks up to other mediums, how to make your own soil and what’s the best pre-made soil for growing cannabis. 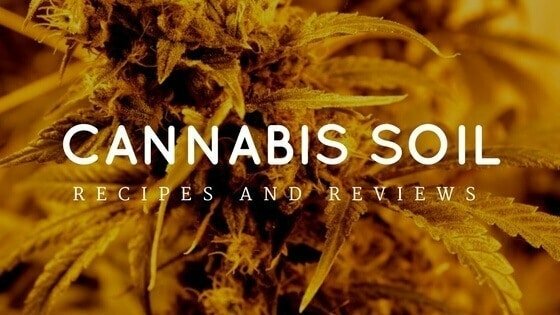 *Keep reading for recipes and reviews on the best soil for growing cannabis. Before we go over the best types of soil to use, let's make sure soil will be the best choice for you. First off, if you’re a beginner then I highly recommend you start off growing in soil. The reason being is it’s so much more forgiving to a grower that’s learning. If you grow hydroponically, in coco or vermiculite, you have to be very precise with your nutrients. Whereas in soil, the soil will buffer a lot of your mistakes. Also, when growing in soil, you can pre-load the soil with nutrients, so you only have to feed your cannabis plants fresh water throughout the entire process. This type of soil is known as “Super Soil” which we’ll dive more into later. With soil, you’ll also be able to find a lot more growers with experience to lean on. That’s not to say soil is all good. The downside to growing in soil is that it eats up a lot of space and can weigh a ton. 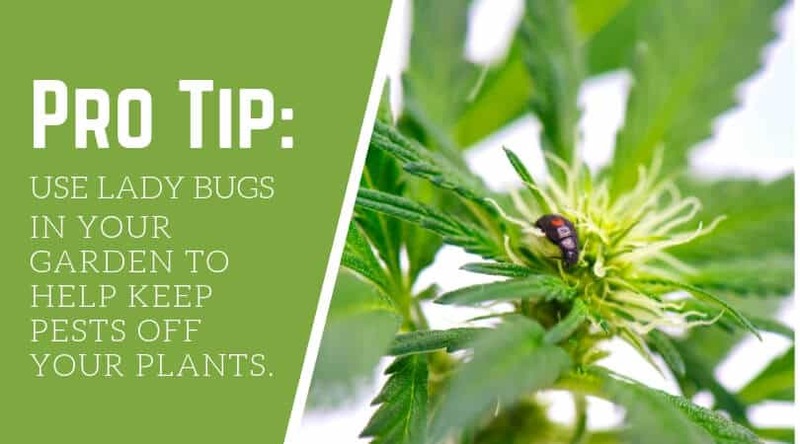 This can quickly become a problem if your grow area is relatively small. It’s also more expensive than a medium like water. Once you add up the cost of the soil, compost and all of the nutrients you could be down a pretty penny. You can always go with a pre-made soil to mitigate some of that cost, but it’s something to keep in the back of your mind. The biggest problem with soil (in my opinion) is that it's more inviting to pests and insects. Gnats and other pests LOVE moist soil. You can keep them at bay by always letting the top layer of your soil dry out in between waterings or by adding nematodes to your soil. Let’s be honest, most of us will be growing cannabis inside. Because you can start anytime, are not dependant on climate, and can grow strains perhaps not suitable to your region of the world. What you want for growing indoors is a beautiful mix. One which retains moisture, while at the same time allowing for drainage. If you are a beginner, you’ll want to purchase pre-made formulas. Preferably with an appropriate fertilizer mixed in. This takes much of the guesswork out of the process. It also allows you the chance to get a handle on all the other aspects of growing weed, before you tackle the complicated world of custom soil and fertilizer mixes. Soil-based indoor systems range from a 5-gallon bucket to affordable cloth or plastic bags. If you are using a bucket of any sort, you’ll want to make sure the soil has sufficient means of drainage. Drill a handful of holes into the bottom of the bucket, and perhaps cover the bottom with a thin layer of pebbles. Each bucket should be placed inside a tray, to contain any drainage. Depending on what pre-fertilized soil mix you’ve purchased, you may need to supplement the crop as it matures. Buy a cannabis specific soil mix, and follow the instructions down to the fine details. Keep reading for the best soil to use for indoor cannabis cultivation. In the wild, cannabis actually grows much like a weed—though that’s not how it gets the nickname weed. It’s a relative of the Humulus and Celtidaceae families, which, along with cannabis, loves to grow in soil that’s been disturbed in ditches and along roads. 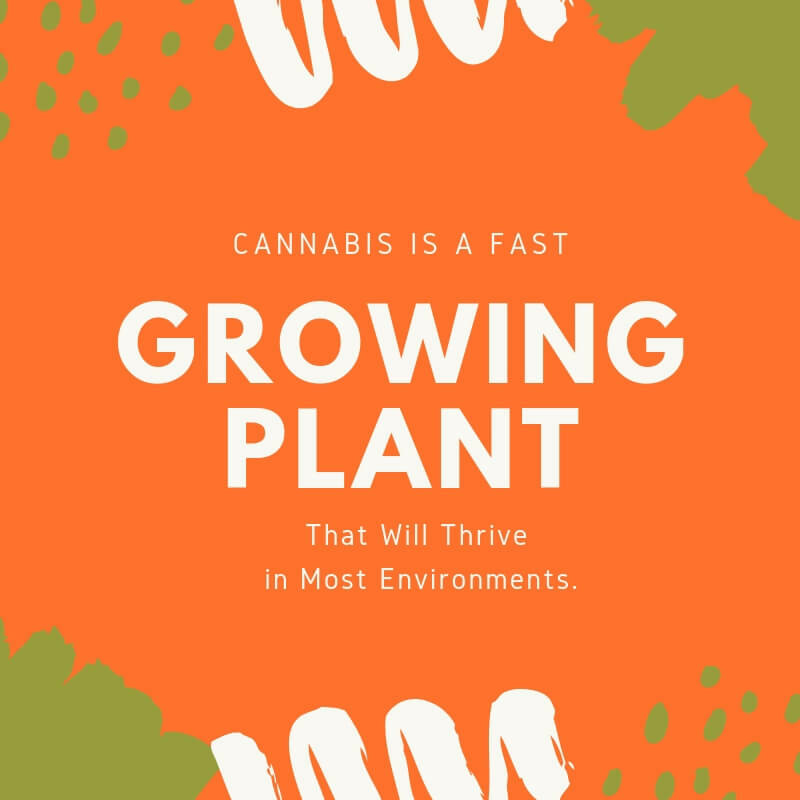 Cannabis is a fast growing plant that can thrive in most places and even crowd out toxic plants. But cannabis thriving and cannabis producing the best buds possible are totally different. We don’t want to grow weeds. We want to grow A+ cannabis plants that produce quality flowers. To do this, you need to create the environment that will enable the plant to produce as much THC and cannabinoids as possible. As you can see, to grow quality herb, you don’t need a complicated soil, and you can use any number of ingredients to make a good soil. One of the most fun parts of growing is the testing and refining of the process. A case can be made for both, but it comes down to what you want and at what stage in your growing career you are. If you’re just starting out, then you need to be more focused on things like noticing and addressing deficiencies, getting the right amount of light to your plants and the correct time to harvest. So, instead of spending your time researching how to create great soil, pick up some of the pre-made soils mentioned below and get a harvest or two under your belt before confusing, and frustrating, yourself with making soil. Just be sure to get a soil that contains a diverse amount of ingredients. Preferably natural ingredients since it helps add to the quality of the soil and allows the soil to be used for more harvests. You want ingredients like bat guano, worm castings and fish meal. If you’ve been growing for a while and want to learn more, then making your own soil is a fantastic way to gain even more control of your crop. You also have to look at the cost. When making your own soil, it’s not that it’s hard to scale the recipes down to a small gardens size, but, rather, that you’re going to have to buy ingredients to outfit 5+ small gardens. Most of the fertilizers you’ll add come in sizable packs, usually, much more than you’ll need. So be sure to factor in storage and cost when deciding which route to go. Whichever way you go, if you start with a strong soil built with natural, slow releasing ingredients you won't have to be constantly batting nutrient deficiencies or the pH. If you choose to make your own soil, try and stick with high-quality ingredients. This isn’t going to be a tutorial on how to make your own soil. Making your own soil, however, is am easy way to ensure you'll get some of the best soil for growing weed. A lot of companies included a lot of filler in their soil, and by making your own, you don't waste that precious space. You can check out this video if you want the step by step process. Created by High Times own, Subcool, the idea behind it is to load your soil with enough nutrients to last the entire grow. This appeals to a lot of growers because not only does it let you not only have to do weekly feedings but it gives your plants EVERYTHING they’ll need. When making your own soil, use the following calculation to determine how many cubic feet of super soil you need. Once you gather all of your ingredients, mix them all together and wet them a little. This particular recipe doesn't require you to bake it in the sun to activate. Just cause you grow your cannabis in soil, doesn’t mean you have to grow outside. A lot of growers like to grow indoors to create the perfect environment for their plants while utilizing the hardiness of soil. Each plant needs four sq/ft of space. So, for one plant you need a grow room that is a minimum of 2’x2’ and at least a few feet high. Next, you need to set up the exhaust to do that use the equation (LxWxH)/5=CFM. For this single plant setup, you need at least 2.4 CFM. 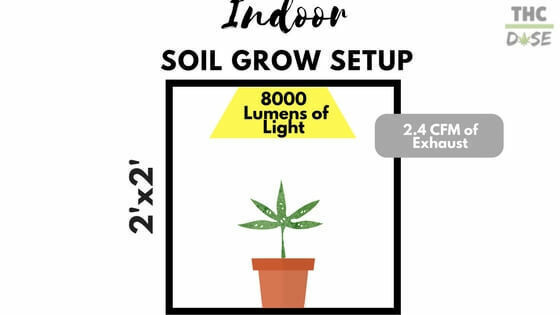 Lights are sq/ft of grow room x 2000 lumens (or 32 watts). For this single plant setup, you need 8000 lumens or 128 watts. And then you need to maintain a temperature of 70-85° and 50-70% humidity. If you want to grow more, just scale the setup to your needs. The best way to grow indoors, unless you have a dedicated room, is with a grow tent. The best soil for growing weed indoors is an adequately fertilized one. Experts send their soil off to labs to analyze, and advise what additives are needed to boost yields. But, you don’t have access to that kind of technology. Instead, you’ve got to rely on pre-made fertilizers to boost the growing capacity of your little at-home operation. When growing indoors, organic fertilizers are always best, especially if you are sleeping a few feet away from your plants. It should have a careful mix of organic composted ingredients, from worms to bone to fish. With a mix of ingredients, it will foster better growth for your plants. It is important to follow the fertilizers instructions to apply it to the soil, roots and the foliage. If the product isn't cannabis specific, you can also ask the internet for advice on how it works with cannabis. Want our recommendation for the best fertilizer to supplement your grow? Check out the Plant Magic and their 100 percent organic mix. It includes 55 trace minerals and a proprietary blend of beneficial microorganisms. It's these fungi and bacteria which go to work fighting off the bad guys like diseases, pests and other issues that commonly creep up when growing indoors. The best part of the Plant Magic Organic Fertilizer is the fact that they boost yield, color, chemical composition (hint, hint, cannabinoid content) - all without nasty chemicals. If you are lucky enough to live in a cannabis-friendly climate or to want to get started growing in the Spring, you’ll need to know about what soils are best for growing outdoors. Again, beginners, take it from us you’ll want to stick to the basics and purchase pre-mixed soils to alleviate some headaches and crop failures down the line. Outdoor soils need to have built-in pest and disease prevention. As the great outdoors puts the plant to the test more so than when growing in ideal conditions inside. You’ll also want good drainage, but top-notch moisture retention so stick with soils that have additives like peat moss, and vermiculite. 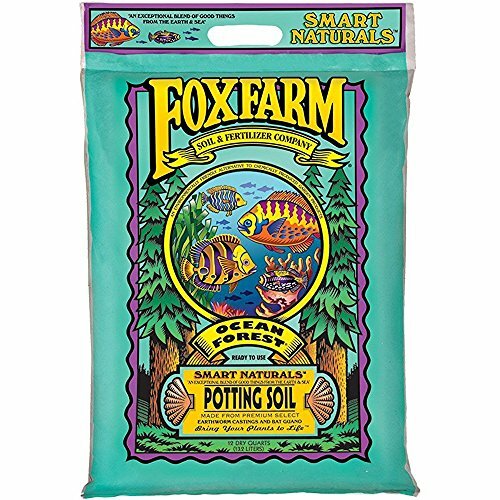 The best of the best for outdoor cannabis growing, on a small home-grown scale, is Fox Farm Happy Frog Potting Soil. Explicitly developed with container planting in mind, one bag is enough to get you started, weighing a whopping 45 lbs. 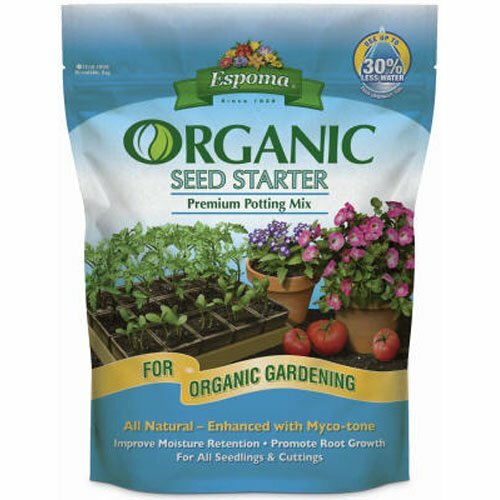 Its nutrient-dense, and finely sifted to avoid the work on your end before potting. Its pH comes pre-balanced, and it's well aerated - which is what you need for outdoor cannabis cultivation. It combines the best of the all-natural fertilizer world, including earthworm castings, bat guano and composted forest humus. Grow stronger, more robust plants with this nutrient-rich soil mixture. When you’re just starting your plants out, they’re very fragile. You need to grow them in something that will retain water well, but that’s not bogged down by nutrients. Seedlings are quick to burn from over fertilization and typically won’t have the strength to come back. Cannabis seeds have enough energy to sprout and get them through their first week of life, so before then they don’t need anything. Ideally, your seedling soil will come lightly preloaded with just enough nutrients to get them into the vegetative stage. It promotes root growth with a blend of mycorrhizae, Sphagnum peat moss, peat humus, perlite and is enhanced with Myco-tone. It also has incredible moisture retention! You might even opt to just go with a soilless medium for your seedlings because of their water retention. Seedlings thrive in Rockwool, coco coir fiber, vermiculite or peat pellets. Each of these retains water extremely well, helping to create the extremely humid environment that seedlings love. Fox Farm is known for being good to cannabis farmers. From their nutrients all the way down to their soil, Fox Farm delivers. Their Ocean Forest Organic potting soil is filled to the brim with stuff cannabis LOVES! I’m talking earthworm castings, bat guano, pacific northwest sea going fish and crab meal. And it’s composted humus with both sandy loam and sphagnum peat moss. It’s a very light and fluffy soil that will let your roots breathe. Plus, it comes in the perfect ph to grow cannabis—6.3-6.8. 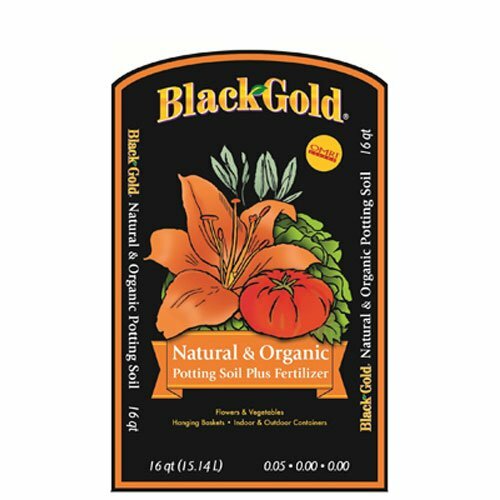 This soil has plenty of organic nutrients to get you through the first stage of your grow and goes great with the FoxFarm trio organic fertilizers. This particular bag of soil fills about 2 gallon pots, but only if you add 1 part soil to 2 parts soil. In other words, this soil is a little expensive. When you’re buying pre-made soil, you need to be prepared to battle fungus gnats. It just happens while these bags of soil are being stored. Lucky for you, though, they are easy to get rid of with some nematodes. 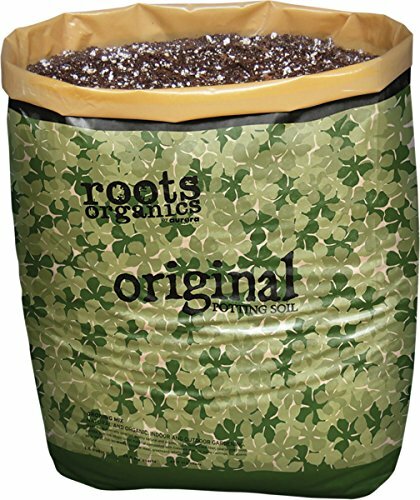 Roots Organic is all you need to grow grade A marijuana. It’s made from bat guano, castings, feather meal, glacial rock dust, fish bone meal, green sand, mycorrhizae, soybean meal, humic acid plus much more. And it’s loaded with perlite and pumice making it drain wonderfully. It’s also delivered in a grow bag which is a nice touch. In case you don't know what a grow bag is, it’s an alternative to a pot. Though, I’d recommend you go with a pot over the bag. Even though it’s sturdy and has relatively good drainage, it’s just best to use a pot if you got it. This soil is available in .75, 1.5 or 3.0 cubic feet bags, which is a pretty good amount of soil. Its pH ranges from 6.5-7.5, if yours comes above 6.8, lower it to get the perfect pH. Over all, this a soil I would recommend to any grower. This is an all-time favorite of A LOT of growers. This is another organic mix that is made in the United States and is also regionally formulated. Filled with perlite and pumice, this blend is rich and loamy with high breathability. It’s also light, which cannabis plants love. The added fertilizer is only 0.05 – 0.0 – 0.0. 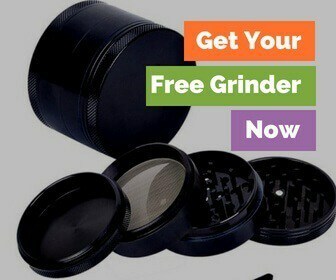 This is GREAT for starting seeds in, and this will get your cannabis plants through the first few weeks. It’s a fantastic base soil, but you’ll want to add some high nitrogen nutrients or start off with a regular feeding fairly soon. At the end of the day, the route you go is going to depend on your skill level and the financial investment you plan on taking. 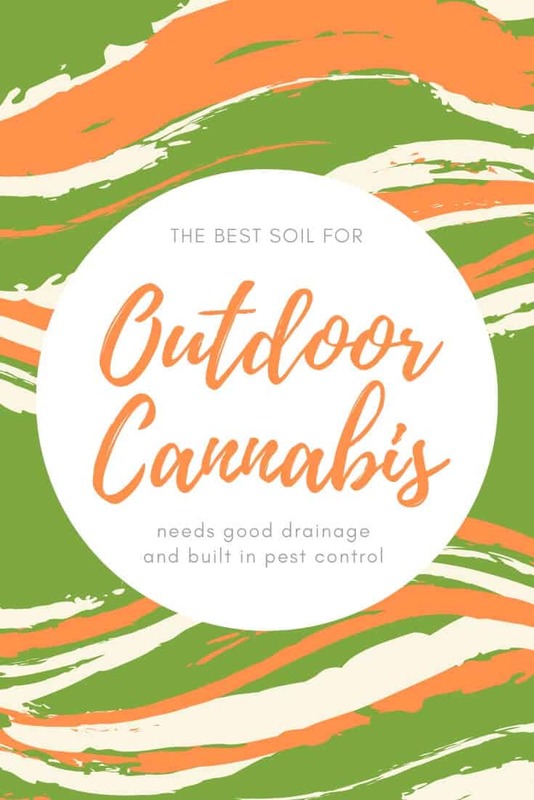 Both buying pre-made soils and making your own have their place in the cannabis growing community, and both have the potential to be the best soil for cannabis. We’d love to hear your recipes in the comments!